A throwback post today, remembering what I wore this Summer… Almost forty posts! Saying goodbye, so we can finally get started with the Fall outfit posts! Do read more! Um post de recordações hoje, a relembrar o que andei a vestir este Verão… Quase quarenta posts! Vamos dizer adeus, para agora começar finalmente nos posts de conjuntos outonais?! Leiam mais! The Summer started out chilly, as a leather jacket and loafers were still needed at the beggining of June… Link for post here. But the loew temperatures didn’t stop me from trying to bring some Summer into my outfits.. A perfect example being this colourful bag! Link for post here. Thought I called Summer didn’t really answer and I was still wearing sweater in mid June. Link for post here. When the weather finally got a tinny bit better, I decided to try a more grungy style. Link for post here. The Summer started out Tangerine, as if an honour to the blog itself was in demand… Link for post here. After the better weather, some more good news: a collaboration with Joie and Fashiolista! Link for post here. Even better news: my birthday! I turned twenty and showed you my birthday dress… Link for post here. Wearing another dress, this time in a more casual way. Link for post here. And yet another dress! For a girl who says she doesn’t like dresses, I’ve done quite well! Link for post here. Ok, this one is a maxi dress. That doesn’t count as dress for me.. Find out why here: Link for post here. Next, I tried out some new stuff with some print mixing… Link for post here. The beggining of my Summer travels… Castelo Branco, my grandparents’ city! Link for post here. I kept trvelling, this time to the beautiful countryside in Alentejo. Link for post here. And since was there, I couldn’t help but to take advantage of thi gorgeous fields for some photos! Some of my favourites ever! Link for post here. And now… My first bikini post in Costa da Caparica. Link for post here. The first time my boyfriend photographed me regularly was this Summer… That is why this particular outfit is so special to me! Link for post here. Showing you how to wear jeans in the Summer. Link for post here. In Alentejo. Again. Link for post here. By the water in Alentejo. Link for post here. Styling the (in)famous skorts! Did you like my twist on them? Link for post here. Wearing my most loved neutrals for a hot day around Lisbon. Link for post here. “A song of light and darkness” was kind of an ode to “A song of fire and ice”, aka Game of Thrones. Link for post here. The Pool Sessions are some of my favourite shots in the whole Summer! Links for part I, part II and part III. Ericeira, in Portugal’s west coast, has some real sea. Link for post here. The most beautiful sunset in Algave. Link for post here. Another sunset, this time a bit more colorful! Link for post here. And because we need something to cover ourselfs up on the beach, here’s a versatile pareo! Link for post here. Another beach outfit… In the beautiful (secret) Praia do Tonel in Portugal’s west coast. Link for post here. The skorts (again!) in black… And a great monochromatic outfit for a night out! Link for post here. 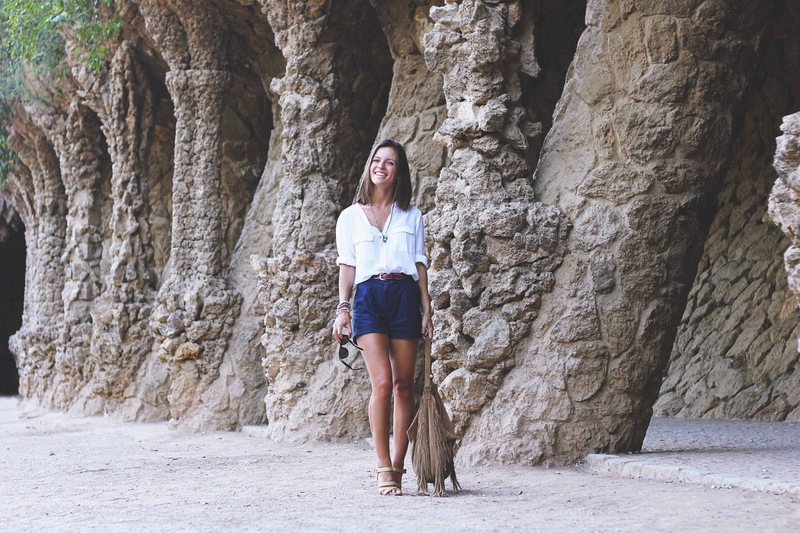 And it was already time to go to Barcelona… Here’s what I wore in Park Guell! Link for post here. Second day in sunny Barcelona… Outfit shot in the Port Vell. Link for post here. And as Summer was coming to an end… These shots were taken on my last classes-free day. Link for post here. And… The very last Summer outfit! Link for post here. Hope you liked this round up of my 2013 Summer outfits! Espero que tenham gostado deste resumo dos meus conjuntos deste Verão!